The importance of installing a Combination Alarm that carries the additional bonus of deciphering threats brought on by a series of hazards such as Fire, Smoke, CO and Natural Gases cannot be understated. Universal Security Instruments understand the significance of outfitting your residence or place of business with a multi-purpose Alarm and has released a collection catered to the individual. 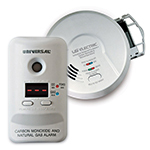 Regardless of whether you're interested in protecting your home against CO and Natural Gas with the purchase of a Digital Display Plug-In 2-in-1 Carbon Monoxide and Gas Alarm, or looking for a premier defender in the Hardwired Universal Smoke Sensing Smart Alarm, USI has the ideal Combination Alarm to suit your every need. 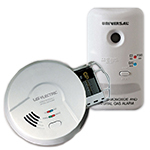 USI Combination Alarms come in a variety of models and employ various technologies to better recognize potential threats looming within your home or place of business. 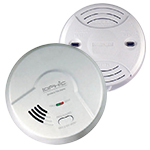 Due to their innate versatility, the following list has been composed to best represent each alarm's capabilities.